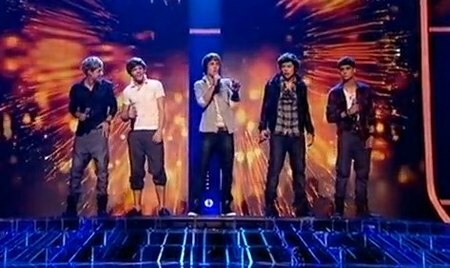 The explosion of tweets and facebook posts about the X-factor final, and the last episodes of Strictly Come Dancing and The Apprentice prove that people really do like to talk about the TV. Despite people now spending more time on the internet than on the TV people still really like to watch it – specifically big event shows like the X-Factor – the final of which got the biggest crowd ever for a UK TV show last Saturday.. 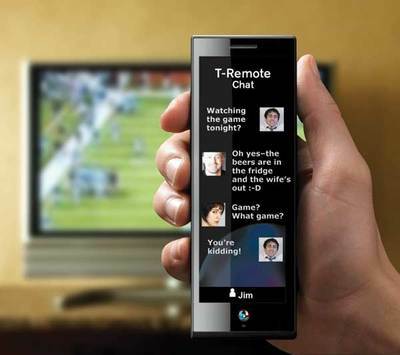 It not a surprise that Social TV is set to be one of the trends of 2011. Whether it’s shows designed to produce good opportunities for tweet feedback, or perhaps a stronger social media output from popular shows (behind the scenes pics etc) or even new TV formats that might stream chat windows down the side of the screen there are a number of ways that TV can become more interactive and more social..
Any fan of Spotify social will know how much more fun that can be. The new iPlayer setup is a great example of this where it integrates a chat function into live TV, though it’s only compatible with Windows Messenger accounts which not everyone has. Really, it needs to be tied into Facebook, the way Spotify is, because that’s where everyone is. iPlayer – at the forefront of TV tech – also has the neat function of being able to sync your player to your friend’s player so you’re both watching the same thing at exactly the same time despite being in different places. Hulu – not yet available in the UK has a similar function (see above). A big change will come about too when people start hooking their TVs up to the internet, as Google and Apple hope they will. Then TVs will start to have keyboards attached to them, and you’ll be able to slump in front of the sofa and flick on Youtube and be able to comment about the six o’clock directly onto the screen you’re looking at..
Expect more apps, social recommendation functions and probably a host of ways to monetise this increased interaction with content. We think it’s the future. The Louis Vuitton Store effective marketing strategies anyone can use for making money by blogging are those that do NOT aggressively promote products! Subtlety is the key for creating wealth on a blog platform since people come to the site primarily for the content and not to be sold. The 5 suggestions offered above have proven to work quite well for monetizing a blog platform without being overly pushy with visitors! Always remember first and foremost that the quality of your updates is what draws visitors and that overly aggressive sales tactics can just as easily drive them away! 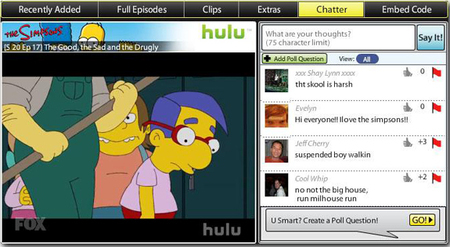 Have you tried chat tv on ps3?